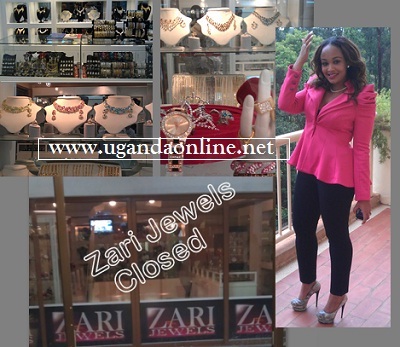 Its not clear if this is a stunt meant for the The Zari Boss Lady reality show but what is clear to us is that the shop has been closed for several days now after officials from Uganda Revenue Authority raided the office after a tip off that the luxury items in the shop had sneaked into the country illegally. The URA Officials are establishing a few facts pertaining to the taxes related to these luxury items which include bracelets, necklaces and wedding rings among others and once they are done, the shop will be opened. So if you were planning to go for shopping at Zari Jewels, you might have to wait to the time it opens once again. The shop was launched at the end of June and it had just operated for a month when the URA operatives swung into action. This and the fight with the husband recently have made her not a happy woman.